Naperville Exteriors, Inc.’s has been working with the same roofing contractors for the last 10 years, and we can take care of all your roofing needs. We specialize in offering some of the most competitive pricing for roofing in the Greater Chicago Metropolitan Area. Naperville Exteriors, Inc.’s professional roofing contractors are well-versed in all aspects of roofing and all have been in the roofing industry for many years. We strive to earn the trust of our customers with our no-nonsense, no-pressure approach to roof repair and roof installation. Naperville Exteriors, Inc. provides honest, affordable pricing, no needless add-ons and no high-pressure sales! Furthermore, besides our best price, every time, Naperville Exteriors, Inc.’s roofing work comes with a lifetime warranty. If you have a leaky roof and crumbling shingles, it is probably time to invest in your home by having Naperville Exteriors, Inc. replace your roof before it causes damage that will cost you a lot of money. Lately, many Montgomery customers have contacted Naperville Exteriors, Inc. about setting up an appointment for a FREE estimate. Montgomery, Illinois has around 18,438 residents living there. Montgomery is a rapidly growing community that is found along the banks of the Fox River in both Kane and Kendall Counties. It is approximately 40 miles west of Chicago. For quite a few years, Montgomery maintained a stable population, with a little more than 5,000 residents in 2000. There was a sharp increase in construction and that resulted in a population of 18,438 by 2010 – an increase of 237% in 10 years! In spite of this rapid growth, Montgomery has kept its inviting, small-town atmosphere and its close-knit community ambiance where neighbors care about one another. It is no wonder the residents of Montgomery look to Naperville Exteriors, Inc. to provide them with the roof repairs and roof replacements they need to keep their homes and roofs safe and sound. They know the professional team of roofing contractors from Naperville Exteriors, Inc. will help them decide which roofing system is right for their homes and their budgets. 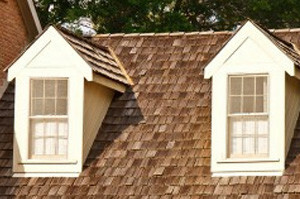 We offer Traditional Shingled Roofs, Cedar Shake Shingles and Slate Tile Roofs in a variety of colors. When you are looking for someone for roof installation, you want a trusted roofing contractor from Naperville Exteriors, Inc. who has the extensive knowledge and experience to conduct a thorough roof analysis. We also offer our customers information to help them decide on the right roofing system to fit their preferences and their specifications. Although there may be a few roofing companies that may be able to beat us on cost, you can rely on us to deliver the finest roof replacement project without ever sacrificing quality of materials or craftsmanship. Naperville Exteriors, Inc. never cuts corners when it comes to providing the best customer service and satisfaction. When you are contemplating a new roof, there are a number of things you need to consider. Although, cost and resilience top the list, aesthetics and style are very important, too. The right roofing system for your home is the system that balances these considerations. To learn more about Naperville Exteriors, Inc., give us a call at: (630) 254-4831, today!